This is a guest blog post from Amy Bingham of Itchy Feet Digital. In April, Amy and Brook will be collaborating on a brand new video marketing course, which includes done-for-professional video, on Sydney’s northern beaches. Promotional video isn’t new. We’ve been watching television ads for as long as we can remember. But technology and digital platforms have lowered the barriers to entry. Anyone can make a video and put it up on their website or in their social feeds in no time flat. Video marketing has become, in a short few years, absolutely essential if you want to drive traffic to your website or bricks-and-mortar business. Regardless of how photogenic or otherwise you believe your business to be, video is highly effective for all businesses. Nothing communicates information as quickly, delivers as much emotion, or is as well remembered as video. Video grabs people’s attention and stops the scroll on social better than words and pictures alone. 90% of what our brains process is visual and these messages are processed 60,000 times faster than text. 30 seconds of video is equivalent to one million words. When it comes to brand awareness, video is where it’s at. Whether you’re showcasing your staff, clients, customers, suppliers or community, showing off your ware, or showing you care, video communicates in a way that no other medium can. Creating clear, relevant stories that highlight your best attributes is important to cement your brand reputation and connect with viewers. As the world’s most popular website (sorry Facebook), Google is the best place for people to discover you. As the owner of YouTube, the world’s second largest search engine, it’s clear that Google recognises exactly how important video is for people seeking information. Videos are 45 times more likely to rank on the first page of Google than text results. What may take one video to express might require five web pages to articulate. 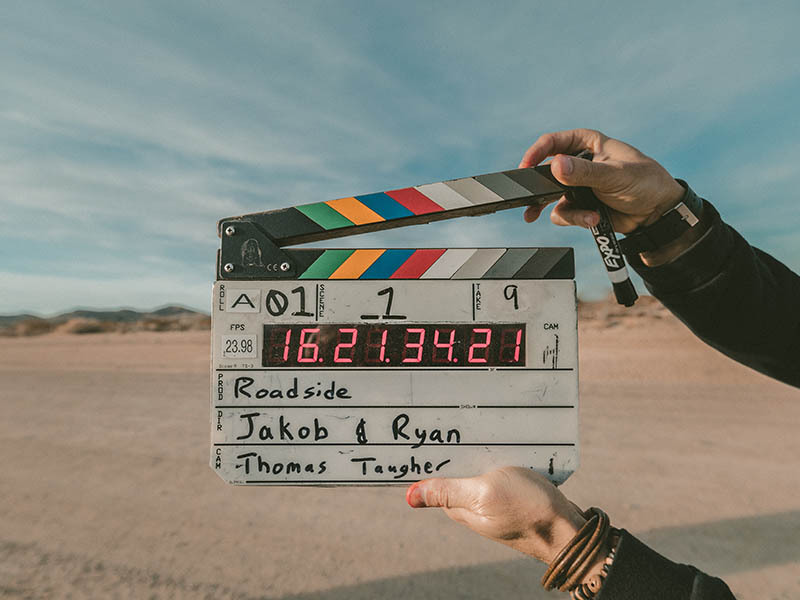 Further, an engaging video on your web page increases your viewers’ ‘time on page’ which is a ranking feature that Google considers in how it ranks your website. Google’s algorithm, which determines how your site ranks, is trying to serve its customers – ordinary people like you and I. Google’s algorithm attempts to deliver searchers the best and most relevant information to satisfy their search. And Google is biased towards video content because humans are bias towards video. More video on your website means better visibility in Google search resuts, which means more web traffic, more inquiries, more clients. Many businesses avoid YouTube because they don’t feel it’s credible enough for their business. This is an expensive assumption about the world’s second largest search engine. Many people use YouTube as their primary place to search. If your business creates content that people are searching for, you’ve got a massive channel to drive people to your website. Shares of social media content, which includes YouTube, are another important factor in your site ranking on Google. Videos are a great way for people to express themselves and this is why they’re so share-worthy. Videos are more likely to be shared and in turn, generate more inbound links to your content. Social media videos generates 1200% more shares than text and images combined. The success of any marketing campaign is based on conversions, in other words – how many people purchased. Videos do a great job of moving prospects closer towards purchasing. Pivotal to purchasing is the ‘know, like, and trust’ factor: people need to know who you are, like you, and trust you. Without trust, people don’t believe that you’re going to do what you say you’re going to do. Nothing accelerates the know, like and trust process quicker than video. Video enables your clients to get to know you through screens, leveraging your time and impact by reaching far more people than would be possible face-to-face, IRL (in real life). Integrating video into your communication and marketing plan puts you on show 24/7. And face-to-face is not always best – even your best salespeople have off-days. But guess who’s consistent in crushing sales goals? Your rigid fleet of oh-so-persuasive videos, that’s who. Isn’t it time you stopped avoiding video? Let’s help you get over it, get on with it, and see your business explode. About the author, Amy Bingham of Itchy Feet Digital. Amy Bingham is a video maker and principal of Itchy Feet Digital, an agency specialising in video creation and digital smarts. Amy’s extensive background in television and video means she not only brings a wealth of experience in storytelling and publishing, but practical and technical skills and insights into video making. Amy is presenting with Hustle & Heart’s Brook McCarthy, for a special Powerful Video Marketing Sydney course on the northern beaches. Limited spots – don’t wait!